Please note: Part 1 is on Page 1 of this thread under "Opening Statements". I agree..mentally ill but NOT insane. This was a carefully planned out execution. Julie Schenecker's notebook reveals more rationale for killing kids. TAMPA — "If you're wondering why I decided to take out the kids, it's to protect them," Julie Schenecker, the New Tampa mother accused of murdering her children, wrote in her notebook. On Tuesday, the second day of her trial, Schenecker's attorney's took what looked to be the prosecution's weapon — her journal entries — and used them to make their case. New passages, written in the hours after Schenecker shot her children, and skipped over by the prosecution, revealed her warped reasoning. Driven to thoughts of suicide by her depression and bipolar disorder, Schenecker wrote that she feared the same fate would befall her children. "Kids of suicidal parents tend to commit suicide themselves," she wrote in her spiral notebook "Calyx has talked about suicide since she was 12." "I believe that I have saved them from the pain." Mothers who murder their children represent a small and extreme portion of the criminal population, but within that group, Schenecker's rationale is not unusual. Experts on this demographic say that suicide is often a major component, coupled with a mother's desire to "save" her children by taking them with her. There have also been cases of mothers, such as Andrea Yates, who believe they are spiritually or psychology damned and must save their children from themselves. In 2001, when she was charged with drowning her five children, Yates told police that Satan was inside of her. She'd killed her children, she explained, in an attempt to keep them from going to hell. A jury in Houston found Yates not guilty by reason of insanity, the same defense Schenecker's attorneys are using. "It was my time to go. Heaven's waiting for me, for I have done my job on this earth," Schenecker wrote in her notebook after she shot each child once in the head and once in the mouth. "We're going home today, take us home Lord." Read aloud in court by a Tampa police crime scene technician, some of Schenecker's entries were garbled and illegible. One page contained nothing but the words: "You're a failure." On another page, she scribbled an apology to her husband, Army Col. Parker Schenecker. On Jan. 27, 2011, the day she's believed to have killed her children at the family's New Tampa home, he was in the Middle East for a military deployment. The couple got divorced and Parker Schenecker retired from the military after their 16-year-old daughter Calyx and son Beau, 13, were killed. "Parker, I'm sorry, so sorry, I don't know what to say, but I sensed divorced was inevitable," Schenecker, 53, wrote. "But I can't live alone." She Didn't kill herself. She fell asleep after killing them. WTH?? If she was so miserable, she should have bought that gun for herself and let her kids live. She shot them in their mouths because they'd been talking smack to her and claims she was saving them? WTF? Committing an obvious premeditated crime doesn't sound like insanity to me and if she intended to commit suicide why didn't she immediately turn the gun on herself ? A reporter on HLN who is in the courtroom said that 2 of the male jurors look at her a lot and they look angry. There's a lot of horrific evidence they won't show on TV. I simply cannot Fathom killing your kids..and shooting them not only in the head but in the mouth? IMHO, she had NO intention of taking her own life. I think she did it b/c her husband was divorcing her. I hereby re-cant my comment on page 1 that 'part of me feels sorry for her'. This stupid defense attorney took up for Arias also. GMAB!! TAMPA – In the months leading up to the day she killed her two teenage children, Julie Schenecker's depression was worsening, her psychiatrist testified on Friday. By December 2010, a month before she drove to an Oldsmar gun store and bought a revolver, she was having suicidal thoughts. Her University of South Florida psychiatrist, Dr. Demian Obregon, considered hospitalizing her under the Baker Act, a state law that permits someone who is a threat to themselves or others to be committed involuntarily. But Obregon never invoked the law. And Schenecker made sure that he didn't talk to her then-husband about her troubles by refusing to waive her privacy rights. She continued to take Lithium and Lamotrigine, another mood stabilizer, and her depression only progressed. On Jan. 27, 2011, approximately five months after she had begun seeing Obregon, Schenecker shot her 16-year-old daughter Calyx and 13-year-old son Beau. Each child received the same treatment: one bullet to the head, and one to the mouth. Schenecker had complained they were "mouthy." She had been diagnosed with bipolar disorder years earlier, and had been seeing psychiatrists throughout her adult life. In July 2010, she became Obregon's patient, a hand-me-down from another resident who passed her to him, a third-year resident at the time. Obregon told the jury Friday that he'd seen Schenecker about every two weeks for 20 minutes at a time. Occasionally their sessions lasted a little longer, but not by much, and had to refer to her medical file repeatedly to remember the milestones in her decline. In September, he put her on Lithium, and he kept her on several other prescription drugs to reduce her side effects from the anti-psychotics. She complained that the pills were worsening her tardive dyskinesia. The condition caused her to shake and lose sleep, and was a direct result of taking anti-psychotics and then, at one point, going off them cold turkey. In most of their sessions, Schenecker made "intense eye contact," Obregon said. It was like she was staring at him, he said. At the time, he thought this might have been typical of her. "Hindsight is 20/20," he said. Shortly before 3 p.m. Friday, Schenecker interrupted the proceedings with an outburst. She stood up suddenly and yelled at her doctor. "You told me two drinks a day, two oxys a day," she said, referring to painkillers. Circuit Judge Emmett Battles sent jurors out of the courtroom, then told Schenecker she would be "appropriately restrained" if there is another outburst. Schenecker then cried while talking to one of her attorneys, who assured Battles there would be no more disruptions. Earlier in the day, her housekeeper testified that Schenecker was a different woman in late 2010 when she returned from a stint in rehab. Michelle Frisco, who cleaned the Scheneckers' house from the time they moved to Tampa up until their two children were killed, said she noticed abrupt changes in Schenecker's behavior. It was November 2010 and Schenecker had just come home from rehab. Though she normally ran around and did errands, now Schenecker was staying in bed more. There were a couple of times, Frisco said, when she would get fully dressed and crawl back into bed. "She didn't seem like she was her normal self," Frisco said. While cleaning the master bedroom, Frisco said she noticed there were more pill bottles around than there had been before, especially when Schenecker's then-husband, former Army Col. Parker Schenecker, was away. She recalled how Julie Schenecker had lashed out at her mother-in-law one day, when the older woman sent Calyx to ask her to get of bed so Frisco could clean the bedroom. "I'll get out of bed when that b---- leaves," Schenecker told Calyx, according to the testimony. After two years of working for Schenecker, Frisco said they had established a friendly rapport. They talked about their children and Schenecker sometimes confided in the house cleaner, telling her that she sometime hid her drinking from her husband and would drink more when he wasn't present. On Jan. 26, 2011, the day before Schenecker killed her two teenage children, Frisco came to clean house. She found the front door locked, she said, which was unusual. When she got inside, Schenecker told her she was going to take a shower and get dressed. Frisco found her lying on her bed, fully clothed, with her eyes closed. Prosecutor Jay Pruner pointed out that Schenecker had the wherewithal that day to write Frisco a check and leave it for her. It was a typical check, made out in steady penmanship. And she had also been driving the kids to school as part of a long-standing carpool. "It takes concentration and attention to drive safely," he said. Tampa, FL -- It's the defense's turn in the murder trial of Julie Schenecker, the New Tampa woman accused of murdering her two teenage children. Her lawyers say Schenecker was legally insane when she shot and killed 16-year-old Calyx and 13-year-old Beau for being -- in her words -- too "mouthy." The defense first wanted to hear more about the 53-year-old's behavior by calling the Schenecker family's cleaning lady to the stand. Michelle Frisco, 43, says she'd been cleaning the Schenecker family's house since they moved into their New Tampa home and that she saw changes in Julie Schenecker's behavior in the months leading up to the murders. Frisco says Schenecker had confided in her that she had gone through rehab, was diagnosed bipolar, and that she was taking medication. Schenecker, says Frisco, also told her that her son Beau was becoming more disrespectful, like his sister Calyx. She says Schenecker would often stay in bed while the house was being cleaned. Around the holidays preceding the murders, Frisco says Parker Schenecker's mother, Nancy had come to help around the house. Julie Schenecker was in bed that day. Nancy reportedly asked Calyx to have her mother get out of bed, so that Frisco could get into the bedroom to clean. "You said there was a comment made about Nancy being in the home. What did she say?" asked Schenecker's defense lawyer. "Nancy had asked Calyx to go ask Julie to get up, that I needed to get in there to clean," said Frisco, "and Julie said that she wasn't going to get up until that b**** left," referring to her mother-in-law. Calyx, says Frisco, simply shook her head and left the room. Frisco also testified that Schenecker had admitted to drinking more alcohol when her husband Col. Parker Schenecker was out of town deployed, and that she would also drink at the "World of Beer" establishment nearby. Defense lawyers appeared to try to make it sound like Parker Schenecker was being controlling, but Frisco later admitted there was another reason. "The defendant admitted to you, did she not, that Parker had a concern about her drinking and driving the kids?" "And that's what upset Parker Schenecker about the drinking?" "She told you that, didn't she?" When Frisco ended her testimony, defense attorneys called Demian Obregon, a USF psychiatrist, to the stand. Obregon treated Schenecker, who had been diagnosed as bipolar and having chronic mental illness. He says she had mild "lip-smacking," a side-effect of medication for mood disorders. Obregon says she stopped taking the medication to avoid the lip-smacking and that made things worse. He says her condition and medications also led her to have leg-jerking, which Schenecker told her had led to insomnia. In August 2010 he says she began to express vague suicidal thoughts, but when asked about it, said it was against her religion to take her own life. Schenecker's symptoms fluctuated a bit over the next two months, said Obregon. His weekly sessions with her would typically last about 20 minutes. Then in November, Obregon says he had no notes to which he could refer. Despite her condition, he says they apparently went the whole month without seeing Schenecker. On Dec. 1st 2010, Schenecker called to say she needed to see them, and said she had scheduling conflicts that had kept her from coming-in. An appointment two days later indicated her conditions had worsened. On December 10th, one week later, Obregon's notes show Schenecker had deeper feelings of hopelessness and helplessness. He says she expressed depressive symptoms severe enough that for the first time Obregon consider "Baker Acting" Schenecker, meaning he believed she might pose a risk to herself or others. video of outburst and video of Schenecker purchasing the gun above. This is ONE scary woman!! She is evidently trying to justify her drinking?? NO doc or psychologist would tell any patient it's ok to drink alcohol on oxycontin or Any opiate. GMAB!! Good article at above link. TAMPA – The first in what's expected to be a series of mental health experts in the Julie Schenecker trial testified Monday, delivering her finding in the case of the New Tampa mom accused of murdering her children. Under tough questioning from the prosecution, Solomon allowed that there could be exceptions — there might be the rare murderous mother in the world. But as a rule, she said, humans are "genetically programmed to protect our children." Someone overriding that instinct to the point of killing the children would be "very, very mentally ill," she said. Once again, "mentally ill and 'insane' are NOT one in the same!! Solomon said she had interviewed Schenecker nine times since she was arrested Jan. 28, 2011, after son Beau, 13, and daughter Calyx, 16, where killed. The first time, days after the children were killed, Schenecker was at Tampa General Hospital in detox after she'd tried to overdose on her mood stabilizing medication and a blood thinner. Later, Solomon evaluated Schenecker at the Falkenburg Road Jail, where she was under suicide watch and was made to wear a "suicide gown." "The first time I saw her, she was still in shock and it was really hard to have a conversation," Solomon said. But after she'd spent upwards of 20 hours with Schenecker, she emerged with a picture of the woman's profound mental illness. As an adolescent, Schenecker had begun to exhibit signs of being mentally ill. She'd been sexually molested as a young child by a man who lived in her neighborhood and lured little girls with hand-crafted dollhouse furniture. Schenecker had testified in the trial against him, Solomon said, a "traumatic" experience. By the time she reached adulthood, Schenecker had been diagnosed with bipolar disorder. She'd tried to hide the manic highs and lows during a career in the Army, disguising her condition by taking time off and spending days holed up in hotels. In 2001, she spent nine months at Walter Reed Army Medical Center as part of National Institute of Health study. Over the years, Schenecker harbored a number of delusions, Solomon said. While at Walter Reed, she became convinced that she had a brain tumor that was causing her depression. Scans were done, but the fear was unfounded, Solomon said. Schenecker also believed that Calyx had inherited her bipolar disorder and that Beau was at risk of being sexually assaulted. At one point in 2009, she told her psychiatrist that she wanted to steal the doctor's comb and use the DNA on it to impregnate herself. On the Saturday before she killed her children, Schenecker woke up with thoughts of escape, Solomon said. She would commit suicide and take her children to heaven with her, saving all of them from the pain of mental illness. "That is psychotic thinking," Solomon said. Attorneys for Schenecker are arguing that she was insane at the time of the killings. But prosecutors say she knew what she was doing — that she'd planned the attack — and should spend life in prison. Schenecker is charged with two counts of first degree murder, which carry a mandatory life sentence. If a jury finds her not guilty by reason of insanity, she would likely be placed in a state psychiatric facility and periodically reevaluated. Cases built around the insanity defense — an infrequently used defense, and one that's seldom successful — typically become battles of the experts. Did Schenecker psychologist prove insanity? A defense psychologist testified Monday that Julie Schenecker was legally insane when she killed her children, but prosecutors made key points on cross examination that could be the difference. 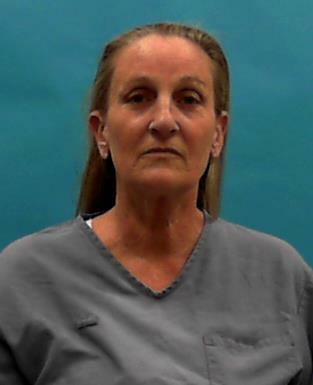 Schenecker, 53, is charged with two counts of first-degree murder for the 2011 shooting deaths of her children at their Tampa, Florida home. She faces life in prison if convicted. Jurors will decide whether Schenecker knowingly plotted to kill her children or was legally insane at the time, unable to tell right from wrong. 1. Dr. Eldra Solomon was the defense psychologist who examined and interviewed Schenecker multiple times following her arrest and while she was in jail awaiting trial. Dr. Solomon described Schenecker’s bipolar disorder with psychotic features, saying that Schenecker’s mental illness became obvious to others when she was much younger. 2. Dr. Solomon told the jury in detail about some of Schenecker’s delusional thinking, including Schenecker’s belief that her son Beau was in danger of being sexually abused and that her daughter Calyx was bipolar when there was no evidence to suggest either belief was remotely true. Schenecker felt that she could not commit suicide and leave her children behind to that environment, but believed that if she took the children with her, then all then of them would live together in heaven with God and be much happier. 3. Schenecker was hospitalized for nine months in 2001 at the Walter Reed Medical Center as part of a National Institute of Health study for patients suffering from depression. Dr. Solomon testified that Schenecker believed she had a tumor in her brain causing her depression, which the expert explained was another delusion. In another example of Schenecker’s delusional thinking, in July 2009 Schenecker suddenly had a desire to take her psychiatrist’s comb and use the DNA to impregnate herself with the psychiatrist’s child. 4. Schenecker told Dr. Solomon that she was very upset she could not go to the children’s funeral and wanted to attend desperately. Schenecker went so far as to suggest she could’ve colored her hair and sat in the back at the funeral and people would not recognize her. 5. The defense psychologist explained how Schenecker’s belief that Beau would be sexually abused comes from Schenecker’s own experience as a sexual abuse victim when she was a child. Dr. Solomon told the jury how when Schenecker was about 7 years old, she was sexually molested by a neighbor who would make little girls doll houses in his garage. Schenecker testified at the trial and the psychologist explained how traumatic it was for Schenecker and caused her to constantly worry about her children when she was older. 6. Schenecker was angry at herself and called herself a failure for not being able to commit suicide. Schenecker told Dr. Solomon after she took the pills the night of the shootings she didn’t wake up until the next morning and was toxic from the medication and foggy, telling the shrink she failed again. Journal entries from Schenecker’s journal showed an entry reading simply “You’re a failure”, the entry was written after the shootings according to Schenecker. 7. Dr. Solomon rendered her opinion that Schenecker was insane at the time of the shooting and during the week prior to the shooting. Dr. Solomon reasoned that sane people don’t shoot their children and given Schenecker’s mental health history leading up to the shootings, she felt Schenecker was legally insane when she killed her 2 children. 8. On cross examination, the state focused on Schenecker’s history with alcohol, and particularly Schenecker’s unwillingness to curtail her drinking, culminating in a visit to a rehab facility for alcohol just 2 months before the shootings. In multiple medical reports, Schenecker was not only ambivalent about her alcohol use, but she was not interested in stopping or calming down the amount she was drinking. 9. On direct examination, Dr. Solomon testified that Schenecker symptoms were exacerbated in the six months leading up to the shootings. In response, prosecutors on cross examination went point by point through multiple visits Schenecker had with doctors in that time period where they report NO suicidal or homicidal ideations and no mood or psychotic symptoms as was suggested during defense questioning. 10. State attorneys spent much of their time with Dr. Solomon discussing Schenecker’s visit to the rehab facility in November 2010. While at the facility Schenecker was evaluated and doctors there determined Schenecker was NOT psychotic. In addition, documents showed Schenecker minimized her alcohol use and indicated to doctors that she was going to drink if she wanted to, and she did not want to be in the rehabilitation facility in the first place. Husband Parker Schenecker made her go. 12. Prosecutors attempted to show the jury that Schenecker’s intent was for her husband Parker Schenecker to find the bodies. During Dr. Solomon’s cross-examination, prosecutor’s asked about the post-it notes left by Schenecker on her front door the morning after the shootings. In the note, Schenecker writes that they are going to New York City and will be back on Tuesday. Dr. Solomon told jurors that Schenecker did not want the carpool she was a part of to be looking for her at least until Tuesday. Tuesday was when Parker Schenecker was to return home and would be the first person inside the house after the shootings, likely being the one to discover his children’s bodies. 13. Schenecker told Dr. Solomon that when she pulled the gun out on Beau as they were driving to his soccer practice, Beau got upset and yelled at Schenecker to put the gun away, so Schenecker told her son that the gun was a toy gun. Schenecker shot her son to death soon after. 14. Schenecker’s animosity towards her husband took center stage as cross-examination progressed, with Dr. Solomon detailing for jurors multiple examples of how Schenecker felt her husband was getting set to divorce her and she was being pushed out of the family. Dr. Solomon cites an email Schenecker claims was going around the family, an email that Schenecker was never allowed to see, that allegedly detailed Parker Schenecker’s plans for divorce. When Dr. Solomon first met Schenecker shortly after her arrest at the hospital, Schenecker was hurt and angry at her husband. 15. In a dramatic moment, prosecutors question Dr. Solomon about Schenecker’s awareness of what she was doing while purchasing the gun at the Lock N’ Load gun shop. Dr. Solomon testified that Schenecker had an explanation as to why she lied to the gun store owner about her reasoning for purchasing the gun. When Schenecker went to buy the gun five days before the shootings, she told the store clerk and owner there were recent home invasions in her neighborhood and she was worried about protecting her family. Schenecker told Dr. Solomon that she was well aware that if she told the store owner the truth about why she wanted the gun, that they would not have sold the gun to her. Does that prove Schenecker knew right from wrong and was not legally insane at the time of the crime? 16. In really hitting the point home, prosecutors had Dr. Solomon go through Schenecker’s journal entries, specifically the entries where Schenecker apologizes to her husband, says this is the worst thing she has ever done, about her plan for the “Saturday Massacre” and how the “evil” would start on Thursday, the day of the shootings. Schenecker told Dr. Solomon she was excited to execute her plan but did not tell a soul because they would thwart her plan somehow. She was sane enough to keep her plan a secret so no one would interfere. Sane enough to find a gun shop and travel to another area to purchase it. Sane enough to act normal during the cool off period. She carried out her plan very methodically. She knew right from wrong when she murdered her children! Being inebriated with drugs and alcohol is not insanity! TAMPA, Fla. - The Army officer ex-husband of a woman accused of killing their two teenagers while he was deployed told a jury on Tuesday that her mental illness was a constant "drum beat" in their 20-year marriage. Col. Parker Schenecker and Julie Schenecker, 53, were still married in January of 2011, when police say she shot and killed their 16-year-old daughter Calyx and their 13-year-old son Beau in the family's home. The couple divorced after the deaths. Schenecker is charged with two counts of first-degree murder and is pleading not guilty by reason of insanity. The state is not seeking the death penalty and contends Schenecker knew right from wrong when she bought a gun and shot her children. Parker Schenecker, 51, testified for the defense, then was cross-examined by prosecutors, with testimony lasting more than four hours. He told the jury about how he met Julie in the military in 1990. He was a young officer and she was a military interrogator in the Army. They met when she coached his volleyball team and he said he was attracted to her athleticism and her "ability to stand up and take notice of things, take responsibility of things." A couple years later, the two married in Arizona, where he was then stationed, and she left the military when she had about 10 years of tenure. Their marriage was marked with worldwide travel, both before and after Julie gave birth to their two children. They lived in Hawaii, Maryland, Virginia and, several times, in Germany, as Parker rose through the Army ranks. Although he noticed that his wife "had some lower energy" and suffered from depression at the beginning of their marriage, Schenecker said she was a good mother to the children when they were born. As the years went on, she visited doctors around the world and even entered into a nine-month clinical trial for her depression at the National Institute of Mental Health. Parker Schenecker said he received updates about her condition during that treatment, but otherwise, she wouldn't allow him access to her mental health records or her doctors. At one point, he emailed his wife and asked if she would allow him access to her medical file and doctor. "Hell no!" she wrote. "Sorry about your luck." Defense attorneys have said that besides bipolar disorder with psychotic features, the defendant suffered from depression. The family moved to Tampa in 2007, and when Calyx was leaving middle school and going into high school, she started to have problems with her mother, Parker Schenecker testified. In November of 2010, months before the killings, Julie Schenecker was in a car crash. Parker thought his wife had been drinking and told her she needed to be in rehab; Julie agreed. When she arrived home after Thanksgiving, Julie Schenecker took to her bed for weeks and Parker's mother came to help care for the kids. Parker Schenecker said he communicated with his wife at that point mostly through email due to his schedule as a colonel at U.S. Central Command, which is located in Tampa. He said he that he stressed to his wife that she needed to "re-assimilate" back into the family, and Julie assured him she would once his mother left, he testified. He told her that the kids were afraid to have her drive them in the car following the accident - and that he agreed she shouldn't drive them. "'I MUST protect them, they are telling me they feel unsafe,'" he wrote. In mid-December, when Parker Schenecker's mother went home, Julie began driving the kids to and from school and cooking dinner. Parker Schenecker testified that over the course of their marriage, Julie had talked about suicide. "She had mentioned suicide but not that she was planning on acting on it," he said, of her behavior in the months before their children were killed while he was in the Middle East on a 10-day deployment in late January of 2011. "My hope was that her energy was too low to [go through with it]." The defense just rested and tomorrow the State w/rebut. Schenecker just told the judge she will NOT testify on her behalf. W/post the videos. TAMPA — The bar for criminal insanity is high in Florida, and Julie Schenecker, the New Tampa woman accused of killing her teenage children in 2011, hasn't met it, three mental health experts testified Wednesday. Retained by the prosecution, they trooped into the courtroom one after the other to refute testimony from the three experts hired by defense attorneys. Just as those experts were certain that Schenecker was having a psychotic episode on Jan. 27, 2011, when she killed her children, this set was equally assured that she was in control of her actions. "I don't think this is a close call," said Randy Otto, a psychologist who teaches at the University of South Florida. "Despite the fact she was experiencing severe mental illness, she did know that she was killing her children … and she did know that that was wrong." Closing arguments are expected to begin this morning and the case is expected to go to jurors shortly thereafter. Attorneys for Schenecker, 53, are waging an insanity defense, an infrequently used and rarely successful tactic that requires jurors to believe that because of her mental disorder, she couldn't distinguish right from wrong. By the time court came to an end Wednesday, jurors had heard from a total of six psychologists and psychiatrists, all of whom had spent hours with Schenecker and her writings but came away with divergent conclusions. If jurors find Schenecker guilty as charged of two counts of first-degree murder, she will face a mandatory life sentence. If they side with the defense, she would likely spend years, if not the rest of her life, in a Florida psychiatric facility. As they flipped through the armfuls of documents they'd brought with them to court Wednesday, the experts for the prosecution explained how they'd reached the same conclusion: Though she was deeply depressed and struggling with the worsening effects of her bipolar disorder, she was not so sick as to be legally insane. In the days before she killed her children, Schenecker wrote in her spiral-bound notebook that she was planning "a Saturday massacre." She complained that her daughter had called her an "evil soul." She wrote: "The evil starts Thursday." After she'd shot each teenager, once in the head, and once in the mouth, she picked up her pen again, writing an apology to her husband and saying she planned to commit suicide. "Beau went first, Calyx went second, I sure as hell would like to go third." She should have stabbed herself to death with that pen!! To forensic psychiatrist Dr. Donald Taylor, Schenecker's language couldn't have made her intentions plainer. "She knew beforehand that what she was going to do would be considered wrong, as well as afterward," he told the jury. Schenecker also lied to the clerk at the gun store in Oldsmar, where she purchased a revolver and ammunition several days before the killing. She told the man at the counter that she needed the gun for self-defense, as there had been several recent break-ins in her Tampa Palms neighborhood. Later, after she used the gun, she left Post-it notes on the front of her house telling people she and her family had gone to New York. Experts said her repeated attempts to deceive people were proof that she knew killing her children was not only morally wrong, it was also illegal. Earlier this week, the mental health experts retained by the defense said that Schenecker believed she was killing her children to protect them. She thought her daughter was starting to show signs of bipolar disorder, though there was no evidence to support that. And she told doctors who interviewed her that she was convinced her son was going to be sexually molested, as she'd been when she was 6 years old. They were all going to heaven, she told police. After shooting her daughter, she'd tried to manipulate the girl's mouth to form a smile. Countering their claims Wednesday, Otto told jurors that Schenecker was not psychotic on the day of the killings: "I'm not aware of any credible professional authority that says, essentially, every person who kills his or her children is insane," he said. Julie Schenecker wipes her eyes after the jury had left the courtroom after delivering their verdict. TAMPA — It took a week to pick a jury and nearly two weeks for the prosecution and defense to present their case, but a jury needed only about two hours to find Julie Schenecker guilty of murdering her two teenage children in January 2011. The defense had sought a verdict of not guilty by reason of insanity on the grounds Schenecker suffered from bipolar disorder with psychotic features and didn't know what she was doing or didn't understand that it was wrong. Prosecutors had not disputed that Schenecker had a history of mental illness but said she was not legally insane at the time she shot her children to death. Circuit Judge Emmet Lamar Battles sentenced Schenecker to life in prison without parole for each count, to be served concurrently. She ended her statement saying she knows her children are in Heaven. Outside the court, Parker Schenecker, the children's father, said his priority was to give voice to his children during the trial and the verdict gives his family a chance to move forward. TAMPA — Less than two hours after getting the case, jurors Thursday evening found Julie Schenecker guilty of two counts of first-degree murder for killing her children, Beau, 13, and Calyx, 16. She faces life in prison. In a tearful speech to the court after the verdict, Schenecker acknowledged the killings, declaring: "I was there." "I apologize. I apologize to everyone in this courtroom ... the lives I have destroyed. I hope they can collect themselves as best as possible, all of us and not just this courtroom. "I know I shot my son and daughter. I don't know why." Schenecker was handcuffed immediately after the verdict and was fingerprinted after making her statement. One of four alternate jurors, James Holmes, had predicted the verdict earlier Thursday to a scrum of reporters, saying he was "positive" Schenecker would be found guilty of first-degree murder. "She was sane when it happened," he said. "She's like a train in a tunnel – in a tunnel it's dark and when you come out of it, there's brightness. She was in and out of it at the time." Holmes said Schenecker's journal entries detailing her plans to kill her children and her thoughts afterwards had a "big impact" on him. "She was well aware of what she was doing," he said. A bailiff escorted jurors out of the courthouse and said jurors did not wish to discuss the case. TAMPA — Julie Schenecker was not insane, prosecutors told a jury Thursday morning. She was methodical, deliberate and scheming. Beginning on the Sunday in late January, 2011, when Schenecker drove 27 miles from her home in New Tampa to a gun shop in Oldsmar, prosecutor Jay Pruner walked jurors through her crime. He held up to them the .38 revolver she used to shoot her 16-year-old daughter and 13-year-old son and displayed enlargements of the journal entries where she described her plans. "She laid it out for us, for you, in detail, a detail that required clarity of thought," Pruner said. Attorneys for Schenecker, 53, are waging an insanity defense, an infrequently used and rarely successful tactic that requires jurors to believe that because of her mental disorder, she couldn't distinguish right from wrong. Pointing to language in her journal, Pruner said she knew exactly what she was doing. "I will pick up the gun on Thursday," she wrote, and then she would put her son Beau to bed. She debated whether she would turn on the lights to blind him and how many bullets it would take to kill him. She didn't want to have to reload. "I'm nervous," she wrote. "The overwhelming evidence, I suggest to you, proves beyond a reasonable doubt that this defendant committed a first-degree premeditated murder," Pruner said. He will have another opportunity to address the juror after attorneys for Schenecker complete their closing argument. Assistant Public Defender Jennifer Spradley, who is representing Schenecker, began her closing by reminding jurors that if they find the defendant insane, it doesn't mean she will walk free. Schenecker, she told them, was a good and loving mother to her children, but she was severely mentally ill. Her bipolar disorder had never been effectively treated and it was worsening as she aged. Making matters more difficult, her psychiatrist at the University of South Florida was "in over his head" Spradley said. He was a third-year resident who began treating her about three weeks after he was first permitted to begin seeing patients. To reduce her side-effects, he told her to begin taking less of one of her mood-stabilizing medications. "She was getting sicker and sicker and sicker," Spradley said. "She was at her worst and the psychosis was a ticking time bomb." Schenecker's addled mind eventually settled on the idea that she would kill herself – a thought she had long considered. She had tried to commit suicide twice before and this time, while her husband was out of town, she would do it. She wanted to take her children with her so that all three of them could be together in heaven, where she would be disease-free, Spradley said. "If it doesn't make sense to you, it's because it's psychotic," she said. "You cannot put a healthy logical reason behind psychosis." The jury made the right verdict. Watching this on NG. She interviewed one of the juror's and also the gun shop owner. Thanks, Nite..for posting the verdict. Julie Schenecker has been found guilty on two counts of first-degree murder in the deaths of her two teenage children. The judge sentenced her to life in prison without parole on both counts. Schenecker had admitted to shooting and killing her teenage children, 16-year-old Calyx and 13-year-old Beau in January 2011. She was charged with two counts of first-degree murder and plead not guilty by reason of insanity. Schenecker addressed the judge after the verdict was read. The judge responded by saying, "it's almost too much to comprehend what brings us here. Regretably there is nothing that this court can so or do that is going to bring comfort to those that have been touched by this tragedy." Col. Parker Schenecker also addressed the media after the sentencing was read. "While this decsiion doesn't bring my children back, it does give our family a chance to move forward." James Pruner spent his closing arguments going over previous evidence introduced in court. Still, he meticulously and emphatically went through Schenecker's movements in the days before and of the killings. "The overwhelming evidence I suggest to you," Pruner said to the jury. "Proves beyond a reasonable doubt that this defendant committed first-degree premeditated murder." Defense attorney Jennifer Spradley spent more than an hour telling jurors of Julie Schenecker's descent into the "claws of bi-polar illness." "In this case, what your focus is going to be is my client's state of mind because this is not a who done it, this is not a what happened, this is not a cause of death, a self defense," Spradley told the jury. "This is my client's state of mind." In closing, Spradley asked the jury to find her client not guilty by reason of insanity, taking into consideration her mental illness and psychosis. "A healthy Julie Schenecker would have never shot her children," she told the jury. In his rebuttal, Pruner said the entry "the evil starts Thursday" Schenecker wrote in her journal shows she knew what she was doing was wrong. Schenecker's fate hinged on whether jurors believed she knew what she was doing when the teenagers were shot. Since being convicted of first-degree murder, Julie Schenecker will receive a life sentence, since prosecutors chose not to seek the death penalty. To be found criminally insane under Florida law, a jury would have to find that either didn't know what she was doing when she killed her children or didn't understood that it was wrong. She apologized to Everyone but her husband. I was secretly wishing her ex-husband would show up daily at her trial with a beautiful girlfriend holding his hand! She would have probably gone berserk. She went off on her psychologist ON her bi polar meds in front of the entire court/jury. Although I am not an NG fan, I have to hand it to her last night. Her show was LIVE as the verdict had just come in and her interviews w/2 of the juror's and the gun shop owner were very interesting. Going to post the transcript. It's worth the read. NANCY GRACE, HOST: To all of you, a verdict in the Julie Schenecker double murder trial. Let`s go straight into the courtroom. UNIDENTIFIED MALE: State of Florida versus Julie Schenecker, case 11CF001376, trial division three. We the jury find as follows in count one of the charge. The defendant is guilty of first degree murder. The defendant did actually possess and discharge a firearm, causing death. We the jury find as follows in count two of the charge. The defendant is guilty of first degree murder. The defendant did actually possess and discharge a firearm, causing death. So say we all. Dated this 15 day in May, 2014. Charles Madison (ph), foreperson of the jury. JULIE SCHENECKER, CONVICTED OF MURDER: I apologize to everybody in this courtroom who (INAUDIBLE) broken their lives! I have destroyed! I hope they can collect themselves as best as possible, all of us, and not just this courtroom, anybody who knew our family! GRACE: Immediately after the verdict, the jury polled. There you see Julie Schenecker in handcuffs, so very carefully kept from the jury throughout this. But once that verdict of guilty came down, the jury was allowed to see this, the truth. And when that verdict was read, there was no shaking, there was no drama, Julie Schenecker in full control of her faculties as the jury read out that verdict. The jury polling was a moment in the courtroom I will never forget as Julie Schenecker -- Liz, let me see if you can pull that up -- as Julie Schenecker looked at that jury as each one of them answered multiple questions. Is this your verdict? Was this your verdict in the jury room? Is this still your verdict? That jury, all 12 of them, answering yes. I`m going to bring you that polling in just one moment. There you see Julie Schenecker as she hears the jury. Take a listen to the jury polling. UNIDENTIFIED MALE: Sherry Kendall (ph), is this your verdict? UNIDENTIFIED MALE: Charles Madison, is this your verdict? UNIDENTIFIED MALE: Trent Lahan, is this your verdict? UNIDENTIFIED MALE: Tina Ocampo (ph), is this your verdict? UNIDENTIFIED MALE: Mario Thomas (ph), is this your verdict? UNIDENTIFIED MALE: Donna Williams (ph), is this your verdict? UNIDENTIFIED MALE: Ricky Ramos (ph), is this your verdict? UNIDENTIFIED MALE: John Hart (ph), is this your verdict? UNIDENTIFIED MALE: Julian Sykes (ph), is this your verdict? UNIDENTIFIED MALE: Barbara Hawkins (ph), is this your verdict? UNIDENTIFIED MALE: William Chuzzlewit (ph), is this your verdict? UNIDENTIFIED MALE: And James Hall (ph), is this your verdict? SCHENECKER: I`m prepared. I`m prepared and I accept your sentence! I apologize. I apologize to everybody in this courtroom who have broken their lives! I have destroyed. I hope we can collect -- collect themselves as best as possible, all of us, not just this courtroom, anybody who knew our family, Calyx and Beau, our children`s friends, teachers, coaches, our relatives (INAUDIBLE) aunts, cousins, grandparents, uncles, nieces, nephews. Everyone has been so deeply affected. GRACE: Guys, I`m coming out of that for just this moment. Right now, joining us is a Schenecker juror on the phone. Thank you for being with us. GRACE: We are all bringing in the verdict as it is happening. And I`d like to hear -- I completely agree with your verdict. But before I taint you with my opinion, I`d like to hear your thoughts, sir. You sat through all the evidence, and you rendered the verdict. UNIDENTIFIED MALE: My thoughts on the -- on the evidence? UNIDENTIFIED MALE: Well, the evidence was actually kind of overwhelming, particularly the journal. The journal was just kind of filled with a lot of hate, well thought out, a lot of it. You could tell she actually was planning quite a ways out exactly what she was going to do it and how she was going to do it. And the defense could never prove the insanity plea, that she didn`t know right from wrong. And that`s really the biggest thing. This whole thing was just kind of a whole sad, sad case. GRACE: You know, I feel the same way. I`m over -- I`m torn -- everybody, with me -- and also taking your calls -- is a Schenecker juror, who has just delivered this verdict. I was torn between wanting justice for Calyx and Beau, sir, and also the overwhelming sadness, just overwhelming sadness -- I`ve got a boy and a girl, too -- the just overwhelming despair of what this father must have gone through. I find something you said very interesting, sir. You brought up her journal, because to me, that journal was the single most powerful evidence proving premeditation. What did you think of it? UNIDENTIFIED MALE: Well, it was definitely premeditated. And the verdict was actually for Calyx and Beau. They didn`t deserve what they got. It`s a whole -- it`s a shame that she couldn`t have gotten help long before it happened. But I`m not sure she got the right kind of help. GRACE: When you were looking at her in court -- everyone, with me right now is a juror of the Schenecker trial. A verdict has just come down, a guilty verdict. And there`s a mandatory sentence. There`s no leeway in Florida. If you are convicted of murder one, you get life without parole. And that is the correct sentence and verdict in this case. With me, a Schenecker juror. As you sat and looked at her in court -- and I came to court and watched the jury and watched the evidence. And I saw you guys looking over at her. You`d look at the witness stand, you`d look over at her, back to the witness stand. What were you thinking as you looked at Schenecker? UNIDENTIFIED MALE: As I looked at Julie? GRACE: As you looked at Julie Schenecker. UNIDENTIFIED FEMALE: I`m seeing a person that`s really mainly sick, that - - of course, when we`re looking at her on the jury, she`s on full meds. The state`s keeping her medicated correctly, like she should be, which wasn`t happening back at the time of the crime. But she seemed to break down a few times, and I noticed -- well, she seemed to be in control of herself. She was taking notes. She was following the case quite well. She`s a very intelligent woman. Just a lot of demons going around in that head of hers, I guess. UNIDENTIFIED MALE: Yes, we heard about that. GRACE: Yes, that`s how they met. I mean, she`s absolutely no dummy. You know what impressed me about the journal, the fact that she had planned this so far in advance. And I also spoke with the owner of the gun shop, who said she was perfectly normal when she came in and bought the gun, and in fact, even made up a lie that she needed to protect herself from a home invasion. UNIDENTIFIED MALE: Yes, that went a lot to showing that she knew what she was doing. I think she was severely depressed. I think she did have a lot of problems. I`m not sure she could handle the two kids. And I don`t know exactly what the home life was. You hear a lot, but you don`t really know unless you`re in there. But she just couldn`t take it anymore, and -- I don`t know how much she really wanted to kill herself. She had the chance to do it, and she didn`t do it. But it`s a sad case. It`s just a shame it had to come to that. GRACE: Well, it is a sad case. You know, you guys were not out very long, and with this evidence, I completely understand that. Did anyone want to vote not guilty, or was everyone convinced during the trial? UNIDENTIFIED MALE: I think everybody was on the page. We had a big discussion on what was going on in her mind at the time of the incident and whether she was insane or not. In the end, she all -- we all agreed that she was sane. She knew what she was doing. The shot to the mouth played a big part in that. UNIDENTIFIED MALE: When she -- they was already dead, she went back and shot them in the mouth, the sassy mouth or the mouthy mouth as she called it in the journal. That just showed hate. GRACE: You know, that hurt me so bad. That hurt me so bad when I heard that. And we`re not revealing your name or your identity, but were you or other people on the jury parents? Do you guys have children? GRACE: To think of, after they`re dead, going back and shooting them in the mouth -- that just -- I could barely take it in when I heard that evidence. How did everybody react on the jury to that fact? You said that was very important. UNIDENTIFIED FEMALE: (INAUDIBLE) we all thought it was a chilling point, the hate, that she actually had to shoot Beau in the mouth. After she shot him on the road, then she went home and shot him back at home after he was already dead. So I`m sure that everybody on the jury -- that was a big point of our discussion, trying to convince ourselves that we were making the right -- the right verdict. GRACE: Sir, I can`t thank youenough for being with us because we`ve been watching on the outside looking in because all of this is in the hands of a jury. And I studied you guys so carefully sitting in that courtroom. I was wondering what effect all that alcohol, all the booze and all the drugs in her home had on you, the fact that she was treated for drugs and alcohol. She was not really treated for mental illness. She was treated for drinking too much. How did that play into your verdict? UNIDENTIFIED MALE: The alcohol, not really that much. And apparently, the alcohol only started in the last six months or so, the heavy alcohol use and the drugs. And I don`t know how much of a factor it really played. She had the accident. They took her to the hospital, drew blood. She didn`t get a DUI. That was kind of odd. I`m not sure exactly -- I think instead of rehab, she should have gone to a mental health facility as an inpatient, and all this probably would have been avoided. GRACE: Can I ask you something, sir? As you were listening to the defense argument and closing argument -- I mean -- I mean, you got to give them credit. They were trying anything that they could. And that`s their job. UNIDENTIFIED MALE: (INAUDIBLE) they did the best in the closing arguments, and they raised a lot of points that we went over in the jury room that we hadn`t really thought about or knew before. But in the end, she knew what she was doing. GRACE: Yes, it seemed to me they were, in a way, trying to blame Parker Schenecker. And that`s their job. They`ve got to find somebody to blame. I don`t hold it against them personally. But I don`t think that this was Parker`s fault. I got the sense that this was a get-back at him because she thought he was going to divorce her. And I mean, that e-mail she sent him -- she kills her kids and then writes him, Hurry home, we`re waiting on you. She wanted him to find those children dead. GRACE: It seemed to me that he wanted -- she wanted him to suffer. She wanted Parker Schenecker to come home and find the dead bodies. Did the jury think that too? UNIDENTIFIED FEMALE: Yes, we took that into account, that that`s what she wanted. I`m not sure about that. She probably did. We don`t know whatever factors that she wanted to get back at Parker for sending her to rehab or not. The defense -- I mean, that was brought up during the trial a couple times. I don`t know how true that is without really knowing what was in her mind at the time. (INAUDIBLE) the main thing was the journal, which was filled with hate, showed that she was planning. The video of her going to the -- in the gun shop showed that she was well in control. GRACE: Yes, and actually smiling. She was actually smiling at the gun shop owners. Do you have any question in your mind about your verdict? Are you firm in your verdict and you feel you did the right thing? GRACE: For those of you just joining us, the jury has handed down a verdict in state versus Julie Schenecker, Schenecker charged with the brutal murder of her two children, Beau and Calyx, and then writing her husband, Hurry home, we`re waiting on you, even manipulating the face of her daughter in death to put a smile on her daughter`s face, the jury rejecting the plea of insanity. Out to Gerry Tanso, owner of Lock `n Load, who sold the murder weapon to Julie Schenecker. He`s joining me from Oldsmar (ph), Florida. Gerry, thanks for being with us. Are you surprised at the verdict, based on what you saw in the gun shop, Lock `n Load? GERRY TANSO, GUN SHOP OWNER (via telephone): I think they`re absolutely right. GRACE: And why do you say that? TANSO: She was very, very coherent. She was a normal person, like, doing business, nothing out of the normal. That`s all we can say, really. I mean, she was just an average person. GRACE: You know, we`re showing the viewers -- I don`t know if you can see it or not -- we`re showing the viewers a shot of her, Julie Schenecker, at your gun store, Lock `n Load. And she`s actually smiling and carrying on a conversation with you guys. TANSO: Yes, she was having a normal conversation, like we do with most of our customers, asking questions, joking, fooling around, no -- nothing suspicious, no signs of any kind of mentalness (ph) or -- nothing, just normal, you know, normal sales -- normal sale time, you know? GRACE: There you see what he`s talking about -- Gerry Tanso with me. This is the Julie Schenecker that he encountered, a far cry from what the defense would have you believe in the courtroom. Gerry Tanso, owner of Lock `n Load, she came one day, bought the gun, came back another day so she could actually get the gun. She was a little angry that there`s a waiting period in Florida. You can`t just go in and come home with a gun. Was she surprised there was a waiting period before she could actually physically get the gun? TANSO: She was. She thought she was taking it home that day. But Florida -- well, all law, state law requires a three-day wait. And that wait requires only working days, not weekends. So she actually waited five days before picking up the weapon. GRACE: Gerry Tanso, if this jury had returned a verdict claiming she was insane, what would you have thought? TANSO: I don`t know how they could. It would be -- it would be -- I don`t know. It just wouldn`t be right because she was not insane at all. This was premeditated all the way. GRACE: In the last moments, Julie Schenecker has been found guilty on two counts of murder one. That is a mandatory sentence of life behind bars without parole in Florida. There was an enhancement of 25 years additional on each count when there is violence committed with a gun. Those sentences went down, as well, the defense begging the judge to put off the sentencing, Put it off so we can confer, so we can talk. No! The judge went straight to sentencing, Schenecker handcuffed immediately upon that guilty verdict, and then sentenced, with a bizarre, rambling and incoherent -- well, actually, coherent but still bizarre and rambling statement that she gave, apologizing to aunts, uncles, coaches, people she didn`t even know, for her actions. To -- out to you, to the lines. Jamie in Tennessee. Jamie, what`s your question? I think I have Jamie with me. Are you there, Jamie? GRACE: OK, I`m going to try Debra in North Carolina. Hi, Debra. What`s your question, dear? OK, my callers down. I`m going to straight out to Steve Helling until we get those callers up. Steve, tell me what happened in the courtroom when the verdict was announced. STEVE HELLING, "PEOPLE" MAGAZINE: Well, you know, it was really interesting, when the verdict was announced, just watching -- you know, everybody was quiet. The bailiff had said to nobody can make any sound, nobody can make any sort of facial expressions. So we all kind of sat there quietly. But you could see that -- I was sitting behind Parker Schenecker. He was breathing very quickly. Obviously, this was a nerve-wracking experience for everyone. And I did notice during that Julie`s statement, she did apologize to everybody except to her husband. She never mentioned him. GRACE: Unleash the lawyers, joining me right now, Shireen Hormozdi, defense attorney. Also with me in New York, defense attorney, Alex Sanchez. OK. Shireen Hormozdi and Alex Sanchez, bottom line, as soon as she was convicted, the defense started up wanting a delay. Where are my lawyers? First of all to you, Alex Sanchez, it`s a mandatory sentence, why did they want a delay? ALEX SANCHEZ, DEFENSE ATTORNEY: They wanted a delay so they can bring in additional information in the hopes of making some type of a record to convince the judge that she should not be sentenced two consecutive time. But this case brings up an unresolved issue. You know, she may not have been legally insane, but she`s something. She`s got mental problems. GRACE: Yes, she`s something, all right. SANCHEZ: And the criminal -- yes, the criminal justice system doesn`t seem to have room for people like her, that have serious mental disorder. It`s like it doesn`t matter. It`s completely irrelevant. And I think that`s wrong. GRACE: OK. Let me refresh your recollection, as we say in the courtroom. To Alexis Weed, who has been in court along with Meredyth Censullo and Steve Helling throughout. Alexis, isn`t it true that she was just treated in rehab for drugs and alcohol and had suffered depression? Is that correct, Alexis? ALEXIS WEED, NANCY GRACE PRODUCER: Yes, it was just about two months before she killed her children. GRACE: So, Alex Sanchez, all this discussion about all her mental illnesses, try as they might, what this boils down to is she was angry, she thought her husband was going to leave her, and she took it out on her children. That`s what happened. That`s not crazy. That`s a murderer. SANCHEZ: Everything`s rooted in mental disorders. Even the prosecution admitted she had serious psychiatric disorders. Should it have some significance when it comes to sentencing? Or some significance in the criminal justice system? Are we supposed to just ignore it like it has no relevance, no meaning whatsoever? GRACE: No, we don`t ignore it. Out to you, Shireen Hormozdi. To follow up on his point. No. That`s why we had the trial, that is why the judge ordered psychiatrists and psychologists. Not just prosecution and not just defense experts. The judge brings in independent experts to review this case. And either sides can use those experts, and it was deemed by them that she was not insane at the time of the incident. GRACE: Of depression and alcohol. HORMOZDI: Right. And she was mentally ill and her actions were abhorrent. And how could she have known right from wrong if she did something so atrocious? GRACE: So you`re still arguing that she was insane, Shireen Hormozdi? GRACE: No. You`re saying she didn`t know right from wrong. That is the McNaughton Rule, take it from our common law that we bring over from Great Britain, that is the test for insanity, don`t know right and wrong at the time of the incident. The jury has just told you that she was not insane, and you`re still arguing it, that`s different from what Sanchez is saying, that she`s kind of like somewhere in between. You know what, we`re all just JDs, we`re not MDs, let`s go to a shrink. Bethany Marshall, psychoanalyst, help me out. BETHANY MARSHALL, PSYCHOANALYST, AUTHOR OF "DEALBREAKERS": Nancy, you can significant or several mental illness and be homicidal. One condition does not rule out the other. To me, what`s very significant are the journal entries because her handwriting is so legible and so clear. When someone is delusional or psychotic, usually their handwriting is illegible, rambling. References to God, there was none of that in the journal. GRACE: You`re referring to the journal entries, correct, Bethany? GRACE: Guys, take a look at the journal entries as the jury did, and speaking of the jury, joining us right now another juror, Trent Longhorn is with us, one of the 12 that deliberated the Julie Schenecker case. Mr. Lawhon, thank youfor being with us. TRENT LAWHON, SCHENECKER JUROR: Yes, ma`am, how are you, Nancy? GRACE: Well, Trent, I`ve gotten a little taste of what you guys lived through during the trial. I eyed you all in that courtroom, and saw you as you watched the evidence come from the witness stand and I`m really interested, I want to find out in your mind, what was the most powerful evidence for the state in. LAWHON: The journal. I mean, the -- there`s no doubt about it, the journal is what sealed it. GRACE: Which part of it? You know, because the part where she is talking about the evil will begin, and she names the date of the murders. The evil will begin on Thursday. I mean, it was so obviously planned out if you read her journals. LAWHON: Well, if you go back before that she planned on a Saturday massacre which she put in her journals and she didn`t know there was a three-day wait on gun laws, so she was hoping to get a gun that day. I mean, if you look at it, the whole time, she was wanting to hurt Parker Schenecker. And my heart and every juror`s heart goes out to Parker. GRACE: You know, I feel the same way, Trent. Everyone with me, another juror joining us, Trent Lawhon, is speaking out. He has just come out of jury deliberations and the verdict. What really hurt me -- I have a girl and a boy. What really hurt me to top it all off, I mean, what could be worse than killing your own children, but then writing Parker Schenecker an e-mail, as she`s tried to manipulate her daughter`s face into a smile in death, to say, hurry home, we`re all waiting on you. Knowing he would walk in that door and find these dead bodies, that just ripped my heart up, Trent. LAWHON: Yes, ma`am. That`s the thing that got me. If you look back at the evidence. The two post-it notes she left on the door saying, car pool, went to NYC, be back on Tues. Friends, went to NYC, be back on Tues. It was all set up so she would hurt Parker, and it`s just terrible, I wouldn`t wish that on anybody. And joining me right now so we can get into the minds of the jurors, they`re the only ones that count, we don`t count in this scenario, it`s not about us, it`s about them and how they perceive the facts and the evidence and the law as it was presented in that courtroom. With me juror Trent Lawhon. Trent, so much of it was disturbing. And I remember when the crime scene photos were being brought into evidence. And I remember, I did the same thing as a prosecutor. Parker Schenecker was sitting kind of back on one side of the courtroom and I noticed that they would always hold the picture down so he couldn`t see the picture. And then hold it up to the jurors. Those crime scene photos to me were heartbreaking. Heartbreaking. Do you think you`ll ever get that out of your mind? LAWHON: No, ma`am, I have two children, an 8-year-old and a 7-year-old, one boy and one girl. And that`s one of the things that stuck with me. I wanted to make sure that -- even as she was let out on guilty with reason of insanity, that she would still go to a mental facility and be taken care of for a while. But when she gets released and she doesn`t have anyone watching her, what would make her stop -- stop her from doing this again? GRACE: And you know, with me, Trent Lawhon, a juror in the Schenecker trial. That`s such a hard reality. If you`re going to feel sympathy for the defendant or be concerned about what`s going to happen when the defendant is released into an unsuspecting society. Another moment that really gripped me and I can`t get it out of my head is when her little boy was saying, no, mom, no. She was saying, it`s a safe gun, it`s not real. She said that to her little boy, Beau, before she shot him. She lied to him and said it was a fake gun. And I don`t know why that fact just -- it was like a knife in my heart when I heard that. That the little boy was saying, no, mommy. LAWHON: Yes, Nancy. He knew it was coming, if you see the evidence, they showed us pictures of his hand where he stuck his hand up to block the gunshot. And that`s the reason why she shot him three -- shot at him three times, the first bullet went through the windshield of the automobile where he -- with the gun and had a scrape on his hand with gun powder residue, and then the second time she took the gun and stuck it to the side of his head and shot him. GRACE: You know, I don`t know how you could listen to those facts and not just cry. To think that that young boy saw his mother raise a gun to him and he was saying, no, no, no, and holding his hands up. And she pulled the trigger anyway, and kept shooting. I don`t know how you guys stood it and didn't break down crying up there in the jury box, Trent? LAWHON: I had tears in the side of my eyes and I kept wiping them away. Especially today when the prosecutor drove it home by putting pictures up there. I don`t want to see the pictures again, and it`s going to take a while to get over. GRACE: With me is juror Trent Lawhon who has deliberated this trial and rendered a verdict. Trent, do you feel in your heart you did the right thing? LAWHON: Yes, ma`am. Unequivocally. I stuffed my emotions to the side, and done what the letter of the law stated. It gave you the insanity plea and with that, Nancy, you didn`t have any other option. GRACE: You know, to Dr. Nina Radcliffe, physician joining us. To me, the fact that she was let out of rehab and those doctors, all those therapists, doctors, shrinks, psychiatrists, nobody found her insane, nobody found her schizophrenic, they found her depressed, and voluntarily consuming drugs and alcohol. That is not a defense. DR. NINA RADCLIFFE, PHYSICIAN: I`m sorry, repeat that, Nancy. GRACE: I`m thinking about her being in rehab. And do you believe that any doctor or therapist in their right mind would have released her if she had had schizophrenia or some type of psychopathy, that was dangerous. Would they have released her? RADCLIFFE: No, they wouldn`t have. And the problem is that these facilities are not meant to keep people there forever. They mentally rehabilitate them, get them on their medication, and people can take these medications, these schizophrenic medication, these antidepressants, and live normal lives. They can live lives where they do not function as being insane, they do work, can be family members, they can be mothers, they can be parents. They would not have released her if she was having delusions or she was sub therapeutic in her medication. GRACE: And back to you, Dr. Bethany Marshall, psychoanalyst, I don`t think any therapist in their right mind would have released her if she was schizophrenic or suffering some type of homicidal or suicidal ideation. I do not believe that. And they were treating her for alcohol and drugs. There were 500 pills in that home. By all kind of different doctors that didn`t know about each other. She`d already crashed the car high on booze and Oxycontin. And then for them to make out that it was Parker Schenecker`s fault, the way they talked about him in closing argument, I think that was wrong, Bethany. It was not his fault. MARSHALL: Nancy, they really maligned him, and you know the fact is, if she went into rehab, she got on anti-depressants and she started feeling better, once the depression lifted. She may have had been the energy to carry out her homicidal impulses. GRACE: With me, Meredyth Censullo, along with Steve Helling and Alexis Weed at the courthouse. Meredyth, Tampa reporter, also in court today. Meredyth, it`s great to see you again. I want to hear exactly what you observed when that verdict came down. MEREDYTH CENSULLO, TAMPA REPORTER: Well, everybody was very quiet. Not much emotion from Julie, not much emotion from Parker, but he`s been very stoic throughout this entire trial. It`s just been amazing to see how strong he is. Julie`s sister, who by the way, they look just like each other, and her sister`s been sitting right behind her throughout this trial. She did break down in tears. Julie`s mother next to her, put her arm around Julie`s sister. But no emotion from her. Otherwise very quiet in the courtroom, and again not much emotion out of Julie, until she actually made her appeal to the judge. GRACE: As the prosecution said, the concept of good versus evil has been around since man could think, that Schenecker knew the difference. She wrote Calyx and called her evil and that the evil would start Thursday. Well, it ended today. In a verdict of guilty. Very quickly, Matt Zarrell, at first she had other reasons for killing Calyx. How did Beau get dragged into it, her son? MATT ZARRELL, NANCY GRACE PRODUCER: Well, yes, the prosecutor revealed in closing argument which I thought was fantastic that the journal entries showed that Beau had become sassy and that Schenecker wrote, though it kills me now that he has turned on me just like Calyx he has to come along with us, too. And the prosecutor pointed out it wasn`t until she got mad at Beau then he had to go also. GRACE: Shireen Hormozdi, Alex Sanchez, the fact that she was angry at her children and acted in anger in my mind, Sanchez, completely eradicates any possibility of the insanity defense. This was out of anger at her husband for god knows why. The man`s not having an affair. He`s working every day. He`s coming home, he`s trying to take care of her and the children and she did this at a get-back at him. That is not insanity. GRACE: That is what they said. They said she`s insane. SANCHEZ: I know, but what about every other mental illness short of insanity -- serious depression, anxiety disorder, schizophrenia, bipolar? Should those factors be considered by the criminal justice system? Should we pretend that that is completely meaningless? GRACE: No one is pretending anything. SANCHEZ: I think they are. GRACE: This is all presented to a jury. You know, Steve Helling, joining us from "People" magazine. All along, this was not just a case about insanity, not guilty, guilty, mental defect. This was a case about what is right and what is wrong. In the whole world, nobody is going to love you like your mother. Nobody. And to me, that truism rings in the courtroom that she could do this to her children. HELLING: You know, you`re so right, Nancy, and why are we so fascinated by this case? Because this isn`t what we expect a mother to do. And so, yes, it`s a very sad case. It`s a very sad story. And I`m glad that the verdict was what it was. GRACE: For those of you that have been following the Schenecker trial along with us, its ups and downs, I want to thank youfor seeing justice unfold in yet another American courtroom. But tonight there`s no joy in the guilty verdict, but it is a just verdict. Let me just say, good night, friend. To the memory of Calyx and Beau. She sure doesn't look miserable..she looks almost happy..makes me sick! !